People might think that fall is the end of the growing season. However, gardeners in most climates can extend it. Additionally, fall is the time of cleanup and preparation for spring. These five tips will help your fall garden reach its top potential. If you have put off weeding and other maintenance tasks because it was too hot outside, fall is the time to clean up the garden beds. Remove weeds and vegetable plants that have reached the end of their lifespan. While weeds will eventually succumb to frost, removing them will decrease diseases and pests. You can even mow a mixture of grass and leaves into a grass catcher and use the resulting mixture as fertilizer for the vegetable garden. That’s because the mixture contains carbon and nitrogen. While cleanup serves a purpose, planting colorful cool-season flowers adds pizzazz. Utilize gaps in your garden’s layout and add asters, chrysanthemums, cyclamen and pansies. You can also plant trees and shrubs because fall conditions provide moisture and a good buffer against transplant shock. You can add a variety of fall vegetables to extend the life of your garden. Lettuce varieties love lower temperatures because they create better taste and prevent bolting. Other greens that enjoy cool weather include mustard, kale and collard. If leafy greens aren’t your thing, grow beets, radishes, carrots and turnips. You can harvest them late in the season, and with proper storage they will last well into winter. Cabbage and Brussels sprouts also do well late in the season, even after a first frost. In areas with mild winters that don’t normally experience frost, fall planting differs a bit. You can get away with planting potatoes, okra, winter squash and eggplant up until the end of September. 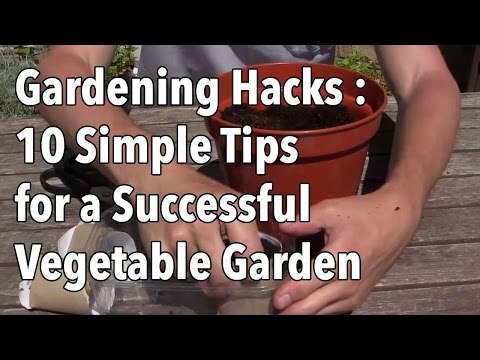 You can also plant cool season vegetables, but do so later in the season. It depends on the area, but you should wait until temperatures have cooled down enough. If you prefer to let garden areas go to rest for the winter, give the soil a gentle till after the weed removal. This exposes insects and will decrease pest issues in the year to come. Add a layer of manure, leaves or compost. If you can’t completely remove weeds from an area, cover it with cardboard or black plastic until spring. trees – can be of a large range both in size and shape, it will give shade and protection. Requirements for water depending on weather, soil type, plant species, age, plant size, etc. All plants need to be watered after planting. Most people check if it’s time to irrigate by putting the finger on the ground. If the finger is dry, the time is for watering. In dry regions, it is necessary to collect rainwater. Many local communities with heavy heat restrict the use of water. Therefore, if you want to have a green garden all year round from the early spring – collect rainwater. Chopped foliage, overgrown manure, and compost will allow the earth to last for as long as possible and it will keep it moist. To properly grow and flourish, the plants need to be regularly conserved. Although the soil contains most of the necessary nutrients, it is not enough. Depending on what your plants need, appropriate artificial fertilizer should be selected. In addition to artificial fertilizers, you can also conserve the soil with compost. Regardless of the quality of your country’s use of compost, it will not hurt your garden. A very important thing that many people forget about gardening is the cover for the earth. As a cover for the ground, you can use the chopped bark of wood, chopped leaves, compost or some other materials that are placed on the ground, around the plants. It is enough to add about 5cm of this covering to protect the earth from heat, freezing, weed growth and erosion. 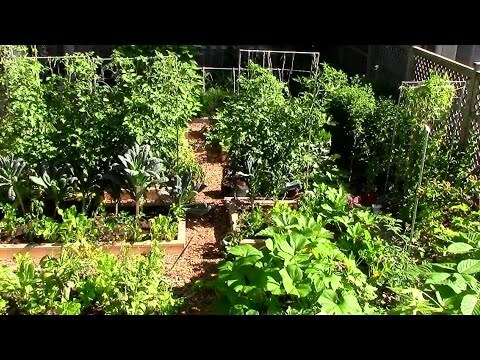 How To Grow Food In Your Garden? When you do not produce your food, but you are buying, you are dependent on those who produce it for you, and this dependence directly and unpleasantly affects your health and quality of life. The garden is not just about food. Fruits from the garden are just the way in which nature returns energy invested in the garden, and you can measure it in calories, health, inner peace, and satisfaction. Cities violate the principle of return because they act as “closed systems,” they do not exchange with the environment or this exchange is not functional in both directions. Villages violate the principle of return, because they are often the foothold and promoters of the food industry, and they take much more than they return. For every gift that gives us, nature requires the return of equal value. Horticultural volunteers are self-sown plants, vegetable growing from the seed that fell on the ground the previous season, and the gardener did not notice it. Volunteers can seriously endanger the gardening plan for the upcoming season. Volunteers are usually very healthy plants because they catch the first favorable spring opportunity and grow from the acclimated seed that they have wintered in the garden. They are often healthier, more resistant and give more fruit than tomatoes that are placed in the garden as transplants. But, they will endanger the plants near them. The best is just to move them to a better spot. Because a part of the life cycle of many insect pests takes place in beneath the plants that serve them as food, many gardeners regularly roam the earth at the beginning of each season and thus remove the roots of dead plants, destroy pests and provide themselves with less stress or need for chemicals. One of the possible positive solutions for the appearance of all pests is the long-term strategic enrichment of the soil. Nature is known for keeping all its living forms in a dynamic balance, and when one of them multiplies beyond measure, the second one appears as the first one that uses it as food. Observing and collecting knowledge about natural cycles and cycles of living forms is one of the most important activities since such knowledge provides the possibility of adequate action and harmonization with Nature. By eco-friendly approach, you help the garden to take care of itself, and thus you also facilitate both your care and your life. Plants will be strong if you take care of the health of the soil with natural nutrients of organic origin, with the help of microorganisms from the soil. Plants need a proper diet, and what they need most is the vitamins of the B group, because in this way powerful plants are better and stronger fighting against a variety of pests and infections. Keep the remains of plants in your garden – such as twigs or leaves. It can serve as a shelter for bugs, and sometimes it also offers real shelter for snails. What organic techniques does gardener use? Put the barriers on time. Why? Seasonal changes can disrupt the entire schedule, and pests and various diseases can occur on your plants and earlier than you expect. If you just set up barriers early, you can save your garden from a variety of damage. Barriers may be either a net, a goblet or a thick net that will prevent pests from leaving eggs on plants. Organic sprays are toxic and quickly degrade. For this reason, you need to use them more often than you would use sprays with organic chemicals because even though their action is very healthy and on a natural basis, they are broken very quickly after application. Control the intruders. A quick reaction in your garden will make it easier to destroy the many pests that will appear on your plants. If you regularly inspect your garden and plants, you will not have problems, and you will avoid great damage that could be caused by the pests. Do not squander water and make a small pool or barrel to reach the water source naturally, maximizing the use of groundwater and rainwater. As the water evaporates rapidly during the warmer months, water your gardens late in the evening, when the soil will cool down or very early in the morning before the soil is warmed up.